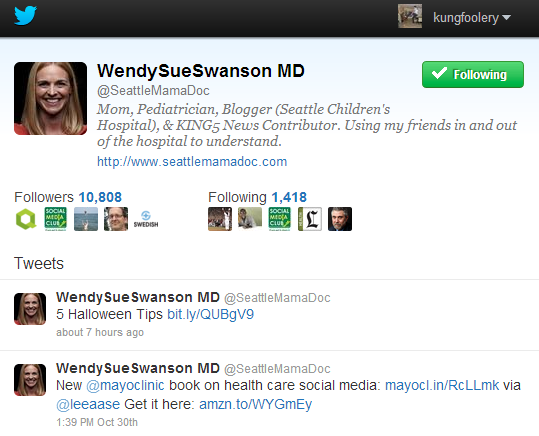 SeattleMamaDoc is a website that features content from a local influential Seattle pediatrician named Dr. Wendy Sue Swanson. It is under the umbrella of the Hospital system where she works, Seattle Children’s and features articles and videos geared towards parents of young children. The site is simple and clean with and displayed in chronological order with the most recent post appearing at the top. There is a side navigation that highlights her social plugins, her RSS feed, about, recent news articles related to SMD, and a SMD 101. There is a stark white background which makes the videos pop. The audience for SMD is parents of young children as all of the content is related to them. Her twitter account has over 10,000 followers. 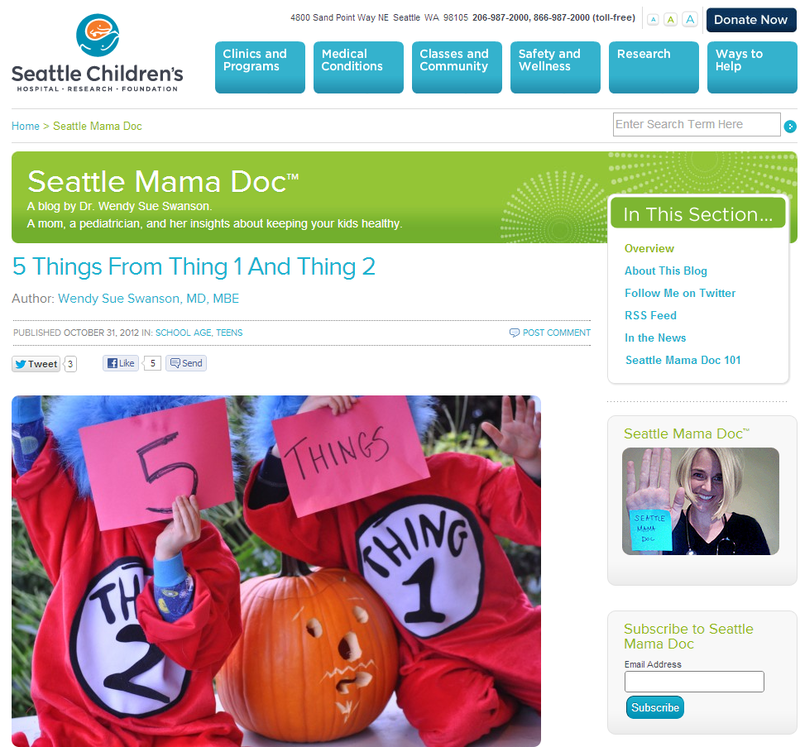 The goal of the site is drive awareness and to give advice to young parents as well as branding Seattle Children’s Hospital and Dr. Swanson as the defacto source for great parenting advice content and related healthcare. There is a prominent “donate” button on the top right navigation which leads to a web form where users can donate to the non-profit, but that is secondary to establishing both the hospital and Dr. “brands”. The website Content Management System (CMS) is powered and hosted by WordPress (view source), and there are plugins for Twitter and YouTube. There is Facebook opengraph tracking as well as google analytics.